The thread is being pushed into the continues Guilletine style knife (also shear knife) with an air operated pneumatic cilinder At the end of a bag the knife rotate once per cut. The knife is operated by air (pneumatic) The choice if you are working with Crepe Tape. The knife cuts through the tape as wel as the thread at the same time. 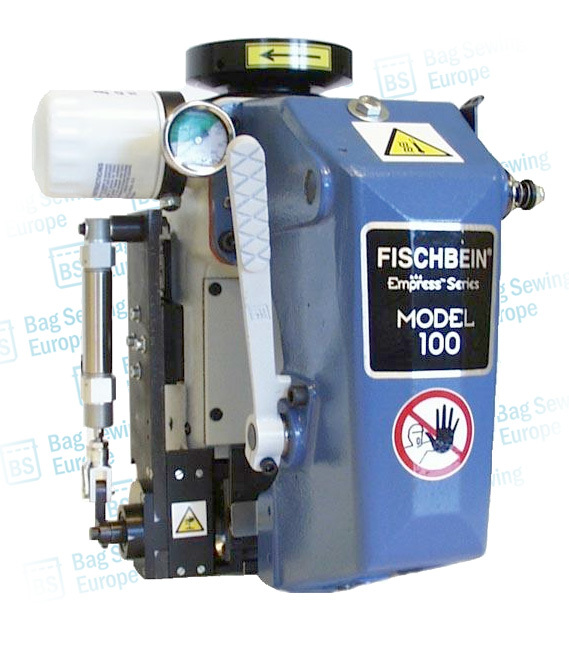 50300B-A100 – Sewing head “low vibration” – Model 100 – with shear knife and oil remote, and normal stitch length. 50310B-100 – Sewing head “low vibration” – Model 100 – without knife, and long stitch length. 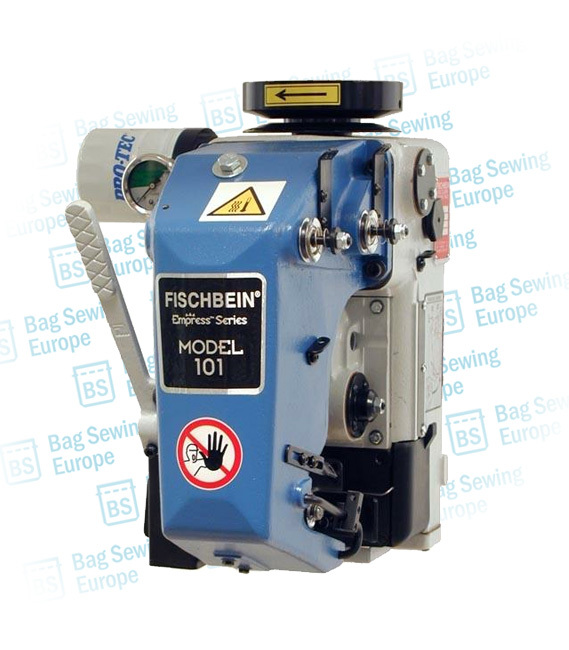 50310B-A100 – Sewing head “low vibration” – Model 100 – without knife, with oil remote, and long stitch length. 50310B-AB100 – Sewing head “low vibration” – Model 100 – without knife, normal stitch length, equipped for filler cord. 50310B-M100 – Sewing head “low vibration” – Model 100 – without knife, normal stitch length, throat plate 10017 – feed dog 10078. 50330B-100 – Sewing head “low vibration” – Model 100 – with scissor knife, and normal stitch length. 50380B-100 – Sewing head “low vibration” – Model 100 – with rotary knife 26445, and normal stitch length. 50380B-M100 – Sewing head “low vibration” – Model 100 – with rotary knife 26445, and long stitch length. 50350B-101-31035 – Sewing head “low vibration” – Model 101 – for tape and/or chain sewing without clipper knife 31035, and normal stitch length. 50350B-PT101 – Sewing head “low vibration” – Model 101 – for tape and/or plain sewing with pull tape, with clipper knife 31035, and normal stitch length. Pressurized self-lubricating system with external oil filter. Variable pulley for an easy synchronisation with the conveyor speed. Produces 2 sewn lines on the bag. The stitches between the two lines are offset to further minimize/eliminate sifting of product through the sewn closure. Chain cutting: shear type knife. With a power infeeder you can automate systems or just let your handfeed run more smoothly or add crepe tape to your bags. Here are some infeeders from Fischbein that can be used in combination with all sewing machines. D4380 – Standard short length [13.50 inches] plain sew infeed – guides the bag top into the sewing head. Depending on plant conditions, the D4380 infeed’s operational range is 35 to 60 linear feet per minute. 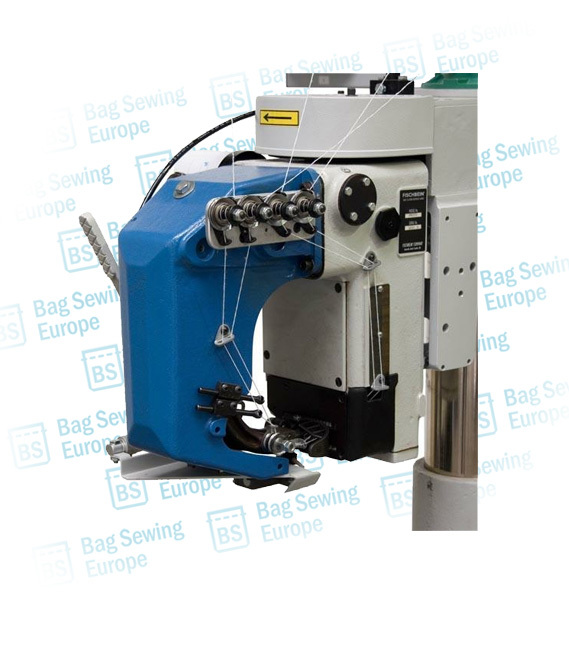 Blunt nose long length [33.00 inches] plan sew infeed – used with automated bagging lines where the bag is transferred from a hanger/scale is directly to the plain sewing system. Depending on plant conditions, the A2796 infeed’s operational range is 35 to 60 linear feet per minute. Direct drive standard medium length [22.75 inches] plain sew infeed – used exclusively with VFD sewing applications. The infeed automatically guides the bag top into the sewing system and depending on plant conditions, the 29520NT infeed’s operational range is 35 to 70 linear feet per minute. Fold-over medium length [22.75 inches] plain sew infeed – automatically folds the bag top over – towards the rear, resulting in a stronger bag closure – the perfect solution for closing woven and laminated woven polypropylene bags. Depending on plant conditions, the A2940 fold over infeed’s operational range is 35 to 50 linear feet per minute. Tagger medium length [22.75 inches] plain sew infeed – the infeed automatically guides the bag top and bag tag into the sewing head. The A2700GR is used for tag placement on the rear face of the bag. Depending on plant conditions, the A2790GR infeed’s operational range is 35 to 60 linear feet per minute. Tagger medium length [22.75 inches] plain sew infeed – the infeed automatically guides the bag top and bag tag into the sewing head. 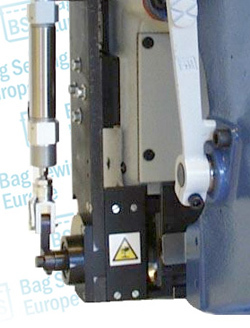 The A2700GF is used for tag placement on the front face of the bag. Depending on plant conditions, the A2790GF infeed’s operational range is 35 to 60 linear feet per minute. Tagger medium length [22.75 inches] plain sew infeed – used exclusively with VFD applications. 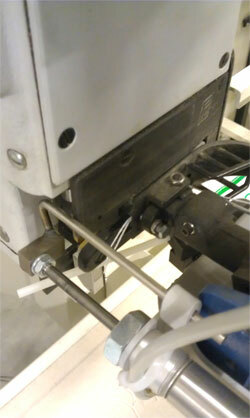 The infeed automatically guides the bag top and bag tag into the sewing head. The 29520NTGF is used for tag placement on the front face of the bag. Depending on plant conditions, the infeed’s operational range is 35 to 70 linear feet per minute. Tagger medium length [22.75 inches] plain sew infeed – used exclusively with VFD applications. The infeed automatically guides the bag top and bag tag into the sewing head. The 29520NTGR is used for tag placement on the rear face of the bag. Depending on plant conditions, the infeed’s operational range is 35 to 70 linear feet per minute. 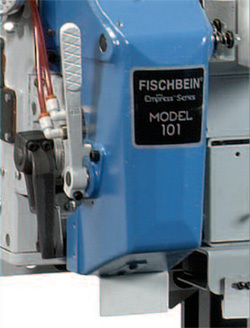 This entry was posted in Uncategorized and tagged Fischbein Model F Portable Hand Sewing Machine Stitcher. Bookmark the permalink.